The Chadian Political Problems Weaken Chad and Its Neighbors! The Chadian political problems are many, as the Republic of Chad is somewhat diversified culturally, geopolitically and demographically and it has some ethnical bonds with the other neighboring countries. So, you may not understand the political problems in Chad and know the nature of these problems unless you have been there for a long time, or at least has somewhat a connection through which you can acquire more information about this country. Concerned people in the Chadian surroundings know what happens in Chad. But, they also have different perspectives when looking into these political problems in Chad and so they understand what happens there differently. This is because every one has different cultural backgrounds, through which he or she looks into any kind of happenings. Did you know the nature of the Chadian political problems? Did you know the root causes of the Chadian political problems? Well, this page with its combined resources gets you the answers to these questions and any other questions in your mind about the Chadian Political Scene, the Chadian Political History and the Chadian Opposition. But, you can also get involved in this cultural and political discussion and tell us what you know through the form on this page. After that get some useful gifts from the second page, when you submit the form. Does Chad walk a mile forward and two miles backwards? Some of the political problems in the Republic of Chad are indicator of interior problems made by the military junta through history until now. and they still make them. And some other political problems are indicator of external problems and they have links to the neighboring countries such as, Libya and Sudan and sometimes the Niger and the other states in the Sahel Region. But, before continuing here is the question number four… Is it really a republic, or a kingdom? No, I am not joking. We'll come to that later on to highlight the Chadian political problems more. The Background Impacts of the Chadian Political Problems! The Chadian recent history proves that the Chadian political problems continue to dominate the Chadian political scene from the past until this moment. Here are the causes of Chad's political problems. That political history in Tchad (the French name of the Republic of Chad) demonstrates that the Chadian political problems have emerged due to political instability in Chad for a long time. Not only this, but the political history in Chad proves that the instability in turn is the only outcome of the military coups and deep tribal conflicts combined with religious extremism. This occurs actually despite the fact that many people know that the deep tribal conflicts and the religious orientations narrow the chances of stability and complicate the political life. They reproduce the political complex in the Republic of Chad every time Caligula the Sudanese decides that to post threats against Chad, or to secure himself from some conspiracies from the military regime in Chad. It means that the ongoing insurgency and military coups since the Chadian independence from France in 1960 have contributed significantly to the escalation of the tribal contradictions and thus made the Chadian political problems deeper. In addition, the current military regime has been inspired by the military religious regime of Khartoum to add the religious ideology to the tribal contradictions and contributed to the deterioration and the complexity of the political life in Chad. All of that indicate how the leaders of the Republic of Chad and the leaders of the fragmented political groups opposing the succeeding regimes have used the political ignorance to deepen the Chadian National Absenteeism. Not only that, but this history proves that the neighboring countries, such as Sudan, Libya and even Niger have played different political roles in the political instability in the Republic of Chad, whereas each of these military regimes continued to affect each other. Therefore, Chad's Crisis Continues. Whatever the case is, the contradictions between these military regimes had to have that affect collectively on all of them. However, the political impacts are more visible between Chad and Sudan, because there is a Tragedy of Simulation and Similarity between Chad and Sudan and Chad and Libya. But, the Chadian political problems did not affect Libya despite the fact that Libya had direct influence on Chad. Nevertheless, the mutual influence has remained between the Republic of Chad and the fragmented and previously called Sudan through history and until this moment. The escalation of the political influence between Chad and Sudan contributed to the unstable political situations in the two neighboring countries since the second military era of the military dictator and hypnotized and sometimes hysteric Imam Jafar al Numeri and until the period of the dictator Omar al Bashir. 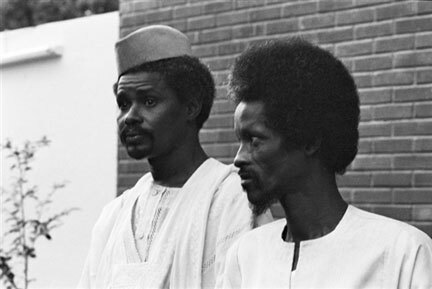 The Sudanese Dictatorial Regimes came to the power by the name of "The Revolutionary Salvation Council" after the success of the coup of the Muslim Brotherhood in the National Islamic Front (NIF) and they started from 1989 to plan, orient and supervise the Sudanese Regional Politics to infect their neighbors. I say, this obsessed regime by religious Islamo-phobias has played a prominent role in the obsessive success of the military coup in Chad during that time in 1990, which brought the head of the regime, Adris Deby to the power by the name of "The Revolutionary Salvation Council" as well. Not only this, but it still plays the principal role in the escalation of the Chadian political problems to respond to the atrocities of their former allies in Chad, when they shifted to assist some of the Fur groups after the escalation of Darfur Crisis and worn their allies in Khartoum that they could use the same tools to make them problems. Despite the substantial assistance the Chadian military coup in Chad received from Khartoum to succeed, but some problems have emerged between the two military and religious regimes because of the tribal complexity in the border between the two countries, notably after the emergence of the Darfur issue in Sudan. Each of the allies in the military regimes in Sudan and Chad accused the other concerning the escalation of the tribal problems in the two countries and even used tribal militia elements in the military skirmishes between them on the borders. The Chadian regime used some of Darfur Rebels continuously. All of this proves that the Chadian political problems have interior causes based on the composition of tribalism and religion and foreign causes as well; and unless the Chadian people be well educated and wise enough, the Chadian political problems will continue to destroy any integrity in the Chadian society. They need to be secular, grow secular generations, organize themselves well and work hard to separate the religion and tribalism from the political system of the state and thus solve the Chadian Political Problems. Share the Chadian Political Problems with your social media services and other services. Use the small buttons on the page. You can use the comments form below to comment on Chad's political problems or write about the political problems in Chad. Thank you. You can also read about beautiful locations in Chad here at Lake Chad, or write about them, if any at Any Beautiful City. Well, you have some kinds of automated submission to play with them through the small buttons on the Chadian Political Problems. Please share this page about Chad's Political Problems with your social media and other services. If you were in any social media, you will find your service through these buttons. So, click to submit this page to it. You can copy and paste the full address of this page there and submit it, when you get into your social media, or services like Yahoo and the others. Thanks. Comments or new articles about the Chadian Political Problems appear at the second section of the page above this paragraph.